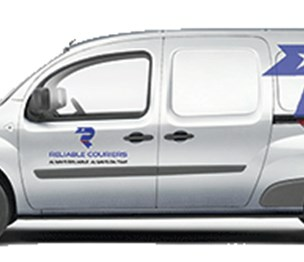 Reliable Couriers is a same day courier service company working in and around the greater Phoenix area. Reliable Couriers is a same day courier service company working in and around the greater Phoenix area. Our local delivery drivers can deliver your package in the fastest manner possible to it's destination. All of our drivers are bonded and equipped with GPS so your package will make it to its destination on time and intact. We also specialize in medical equipment deliveries, pharmacy delivery services, medicine deliveries, legal courier services, and hot shot deliveries. Install a QR code reading app on your smartphone to scan and convert it to Reliable Couriers contact information. There are no reviews on Reliable Couriers yet. According to our records, this business is located at 40 North Central Avenue #1400 in Phoenix (in Maricopa County), Arizona 85004, the location GPS coordinates are: 33.448935 (latitude), -112.074859 (longitude). Reliable Couriers is categorized under Car Loading and Unloading (SIC code 4789). Known organization account representative is John Robinson. Current estimates show that the unit has a sales volume of $150000 and staff of approximately 15 people. You can contact the company by phone at (480) 719-8892; the following fax number is also provided: (888) 415-1782. Business website can be accessed at www.reliablecouriers.com. Open from 1:00 am until 12:00 am (Monday - Sunday).